The entrance / hallway forms guests first impression, at the same time, it is the first room you hit when you enter your home.....So it must be inspiringly welcoming! We have already the Eames rocking chair, and the rest are all from Safavieh Furnitures, which I accidentally discovered lately and have already purchased some items. 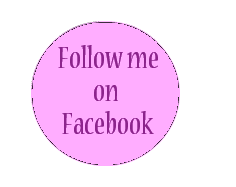 You can find them in various furniture online shops as well as at Target or even at Amazon, and to my opinion they worth the money. 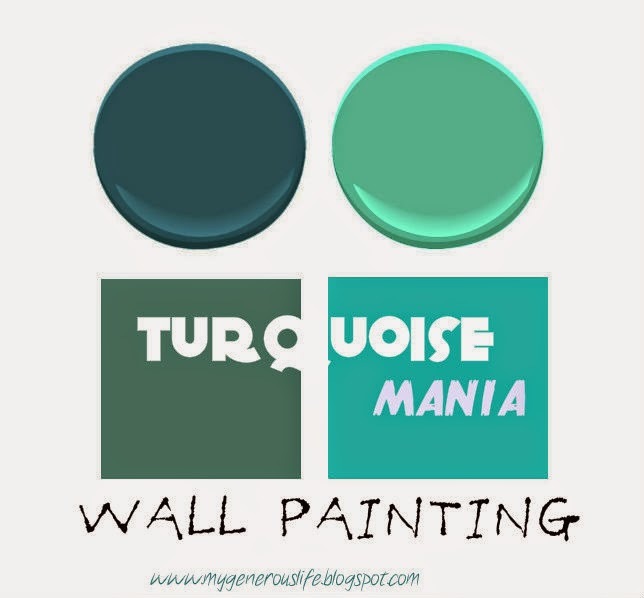 As far as the makeover of our hallway is concerned, I am a proponent of having one wall painted in turquoise or , for more contemporary take in dark blue... what do you think? What about you? 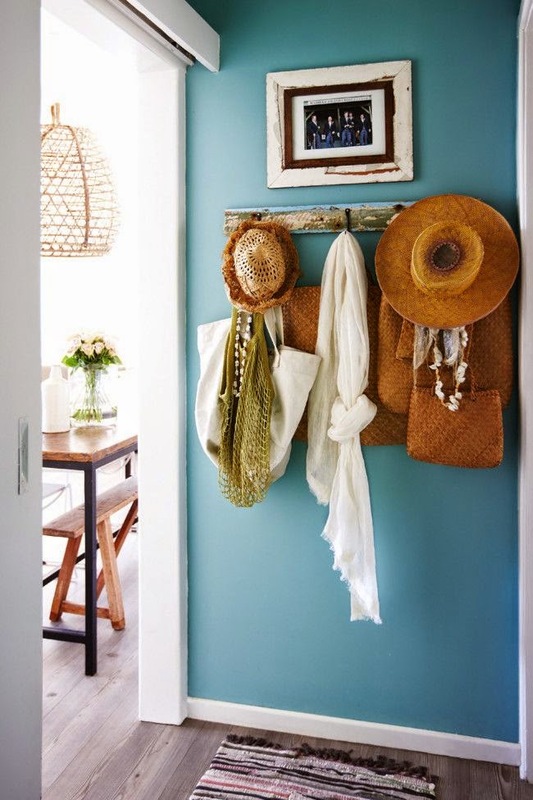 Do you think your hallway is an important part of your home? How is it decorated? Colourful or white? Πανέμορφες οι διασκομητικές σου επιλογές Γεωργία μου!! Λατρεύω τό τυρκουαζ χρώμα! !Καλή εβδομάδα!Φιλιά! Every single wall in my home is white and I hate it. I love color so if it was up to me right now I would paint (or wallpaper) every single wall. I love giving a touch of color!!! Nice post!! Aw the dog is adorable! I love color! You are so right! And love these examples, very inspiring for sure. 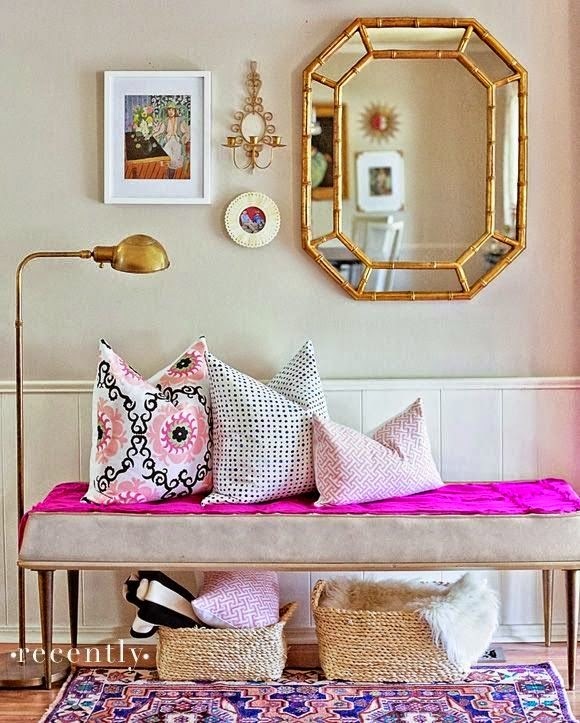 You're so lucky to be in a phase where you can pick and choose the design of your home! Πολύ ωραίο το στρογγυλό τραπεζάκι στην πρώτη φωτογραφια. 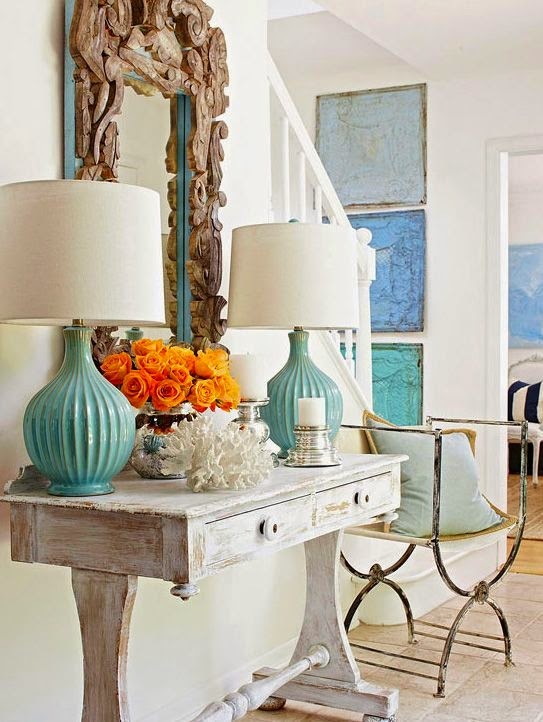 I love the turquoise colors and that end table! I agree that the hallway is an important part of the house and should be welcoming and attractive too. 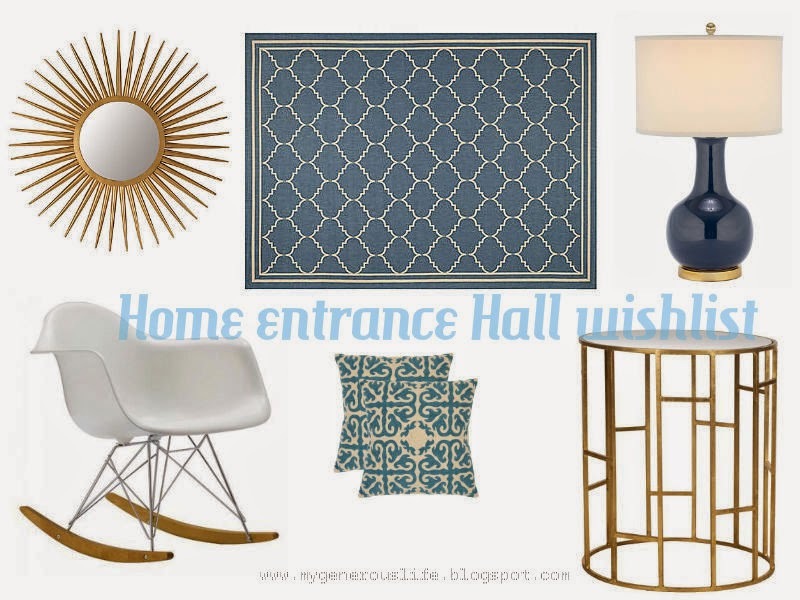 I like the colour scheme and patterns on your wish list - perfect mirror too!